Where else in the world can you sit and pray with the bishop of an entire Indian denomination… have coffee with the training director of an African church network of 80,000 churches… have lunch with a pastor from New England who is training the next generation of leaders for his church… have tea with the director of a mission planting churches in tens of thousands of Indian villages… and go out for dinner with a pastor from Ohio who has traveled the world to support leaders like these? Ames, Iowa! Where else? On October 28 to November 4, 2016, leaders like these gather in Ames, Iowa for the annual BILD Conference. All are committed to church-based theological education, not just because it is a practical way for their leaders to be trained, but because it accelerates church planting movements in a manner that is well aligned with the way of Christ and His apostles. All are committed to the global mission of engaging in the Great Commission according the Pauline strategy that includes evangelism, church planting, and church strengthening, particularly through the training of leaders to equip the saints for ministry. All are committed to the priority of indigenous apostolic leaders who “pass on the deposit” to “Timothy’s” to pass on to “faithful men” to “teach others” through a vital interplay of sodal and modal leaders. This year’s conference, perhaps more than ever before, will be a tremendous time of equipping and vision-casting. Jeff Reed’s plenary on Thursday evening, November 3rd will be on “Doing Theology in Culture.” Various workshops throughout the conference will provide training on using BILD Cloud, creating artifacts and doing portfolio assessment (for Leadership Series courses, Ministry Practicum, Life and Ministry Development), teaching First Principles, teaching Leadership Series courses, leading Socratic discussions, and having discipline in Antioch School programs. 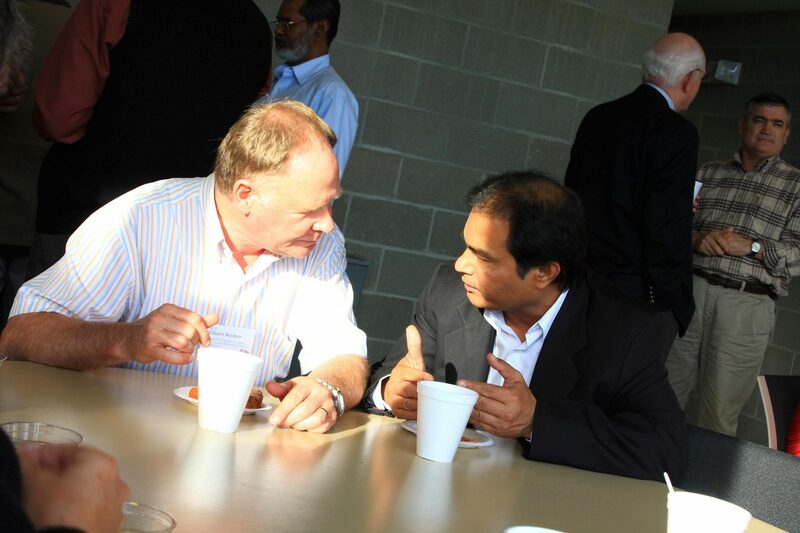 And, of course, you have the incredible opportunity to fellowship with apostolic leaders from around the world and church leaders from North America. The Antioch School has been Reaccredited! Accreditation is a rigorous process for academic institutions. There are two forms of legitimate accreditation in the United States (granted by accrediting agencies recognized by the Council on Higher Education Accreditation and the U.S. Department of Education). “Regional Accreditation” is the general recognition of traditional universities and colleges granted by seven regional agencies in the U.S. “National Accreditation” is the specialized recognition of institutions within a particular sector of higher education, such as medical or veterinary education. If you are having surgery, you most likely want a surgeon who has graduated from a medical school accredited by the American Medical Association (AMA). The Antioch School recognition is also “national accreditation,” granted by the Distance Education Accrediting Council because they specialize in non-traditional forms of education, such as online learning and competency-based education. Accreditation by DEAC is particularly valuable because of its rigor and expertise. Most accrediting agencies are still just learning how to evaluate the non-traditional programs of its traditional institutions, but DEAC has been focused on non-traditional programs for 90 years. DEAC is a leader in the use of outcomes assessment in higher education and is miles ahead of most other agencies in this regards, as evidenced by the very significant role that DEAC plays in the Council on Higher Education Accreditation. The Antioch School received the maximum length of reaccreditation from DEAC, namely 5 years from the start of our reaccreditation process, because DEAC thinks that the 10 years often granted by regional accrediting agencies is far too long to provide a meaningful ongoing declaration about an institution’s quality. On April 7, 2016, we received a site visit from a team of six DEAC evaluators, including a chairperson, an education standards evaluator, a business standards evaluator, a ministry content expert, a theology content expert, and a staff person. They arrived having each already scrutinized our 50,000 word Self-Evaluation Report (with 60 exhibits) and the reports from the independent course evaluators. They interviewed staff, faculty, students, and Certified Leaders. They reviewed files, policies, and facilities. They compiled a Chair’s Report to address 70+ indicators of compliance with DEAC standards. Fortunately, our response was quite brief because there were only a few points that needed to be addressed. The DEAC Accrediting Commission met late June and announced in late July the granting of our reaccreditation. Thank you to all who helped us with the reaccreditation process. Many students and Certified Leaders were contacted by phone during the site visit. Many more were contacted through surveys. Some unknowingly served as models of admission, service, and BILD Cloud portfolio assessment processes as site visit team members arbitrarily chose examples to review. And many of you have been praying. Indeed God has answered your prayers and honored the hard work of the Antioch School, both its staff and its partner churches and ministry organizations around the world. DEAC Logo. DEAC (Distance Education Accrediting Commission). The DEAC Logo. 2016. 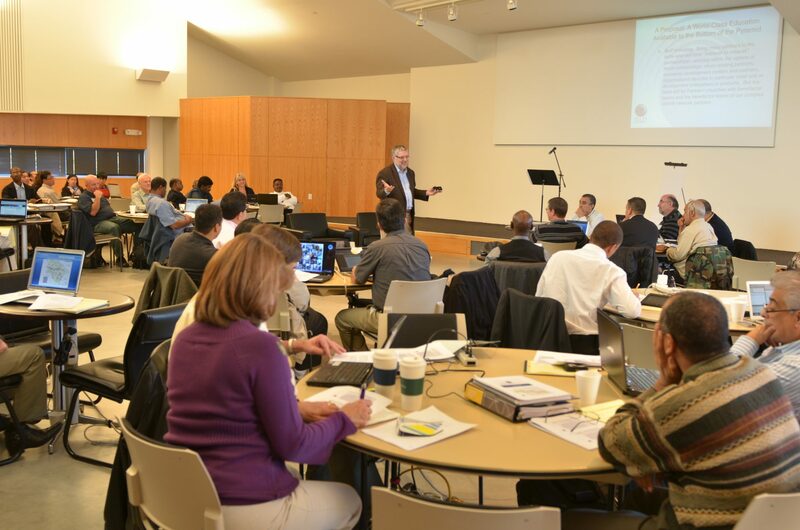 The Antioch School of Church Planting and Leadership Development is accredited by the Accrediting Commission of the Distance Education and Accrediting Commission (DEAC), 1101 17th Street NW, Suite 808, Washington, DC 20036, (202) 234-5100, www.deac.org. BILD Cloud is very transparent regarding what work has been submitted by students as evidence of competency, as well as initial assessment by Certified Leaders and validation assessment by Associate Faculty. The Antioch School has established Academic Progress Requirements to indicate the minimum that is expected of a student. These requirements are not an indication of the pace to complete a program quickly. Rather, these requirements help to provide accountability to keep you going toward our common goal of graduation. One of the best features of competency-based education is the flexibility of the content and timing of what you submit as evidence of competency. However, the flexibility of timing may also be a trap for some Antioch School students who let too much time pass without posting evidence of competency. In order to provide accountability, we have academic progress requirements regarding the timing for students to demonstrate minimum amounts of evidence of competency. See below for the full statement of requirements. Please note that it is not our intention to penalize anyone for the flexibility of competency-based education. If you have a good reason for not having met the academic progress requirements, please let us know. The requirements and academic probation warnings are intended to help you make progress, particularly if you need the accountability. If you have not yet activated your BILD Cloud account and started to use your portfolio, please visit the Help Center for tutorials. * Update: as of 8/09/16, this chart and article were revised to reflect the current May 2016 Handbook. ** There are times when students need to move through the courses at a slower pace while still showing progress on elements of the program. If this is your circumstance, please contact us. *** If you have a good reason for completing Leadership Series courses at a slower pace, the deadlines for Ministry Strategy Plans can be adjusted. For several years, we have offered weekly e-Workshops to Certified Leaders of Antioch School programs. Topics range from specific areas of Antioch School programs (Practicum) to skills in using BILD resources (Socratic discussion). See the complete list below. Now, rather than restrict these to Certified Leaders, we are opening them up to students and others in churches and ministries offering Antioch School programs. We think that this will greatly enhance the support we can provide you and your students. You can find a complete list of upcoming e-Workshops and register through our “Web Conferencing Center.” Descriptions and further detail regarding each workshop are available on our Antioch School website. Please note that these e-Workshops use WebEx technology. You will need to download the Webex software in order to participate. Also, please try to use a headset with microphone to increase the quality of the e-Workshop experience for you and others. As you know, the Antioch School is a competency-based academic institution. You don’t get credit merely for doing Leadership Series courses and their projects. Rather, you get credit for demonstrating competencies associated with the courses. Here is a link to the Antioch School Help Center in which you will find “competency tips” for each of the Leadership Series courses required for Ministry degree and certificate programs. For the most part, these tips help you to know which projects to use (and how to use them) to demonstrate each of the competencies in the courses. Also, please note that we have revised the Student Competency Assessment Guide. Specifically, we have provided more explanation of what is meant by each of the criteria by which Leadership Series course competencies are to be assessed. 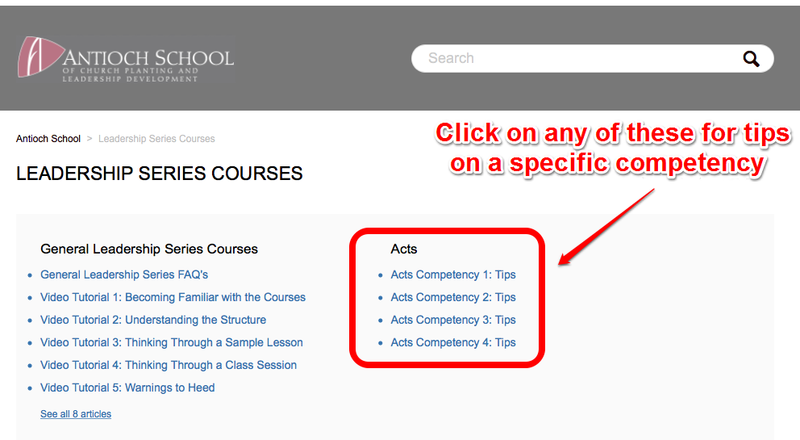 Also, we have add additional rubrics for the “accuracy” criteria of each Leadership Series course so that you can know more of what is expected. We hope that these additional services will help you as you do your work in the Leadership Series courses, but also as you demonstrate competencies and do your self-assessment in BILD Cloud in order to earn Antioch School credit. And if you have questions about the “competency tips,” you may discuss them with other students, Certified Leaders, and Faculty in the Community Discussion Board. Certified Leaders and Antioch School students were surveyed in January 2013 to help us gather data and reflect on our service. Here are the results. 91% of the Antioch School students who took Leadership Series courses in 2012 completed them. The rate was lowest for the first three courses (Acts, Pauline Epistles, and Essentials of Sound Doctrine), probably because students are still determining whether the program is really for them. Rates are highest for the courses taken later in the program. This means that once students get rolling in the program, they are even more likely to complete courses. See below for comments from the Certified Leader Survey. 87% said that they achieved the goals they had when they started the course. 95% said they would recommend the course to a friend. 93% said that they were satisfied with the course. The data on student satisfaction can be a bit confusing. For instance, it is possible for students not to achieve their goals for a course because their goals were not well-matched to the course. We think the 93% satisfaction rate and the 95% recommendation rate are very encouraging. Please note that your concerns are our concerns. We are designing the next generation of our e-Portfolio that will have many more features and be much more user-friendly. And we are committed to making our resources available digitally and updating the Theological Readers (though our goal is not necessarily to include the “latest stuff” or to deliver content through the chapters and articles, but to include those that give excellent perspective and insight related to your own study of the text, interaction as a ministry team, and building your ministry plan). We always welcome your suggestions for material that you think would be good in our courses. How much work do my students need to do to show competency? Partners asking this question want to know what a student must specifically do to fulfill our requirements and receive academic credit. This question is understandable. After all, it is difficult to hit a mark that you don’t clearly see. At the same time, however, the question is problematic. Students who ask it may subconsciously make a finish line out of a minimum bar. Partners who focus on it may not use the Antioch School to maximize the development of their students. What work will help my students to become really competent? Asked this way, attention is drawn to the overall equipping agenda you have for your leaders. This question also better reflects our vision for what an Antioch School program can accomplish in your church or ministry. Ideally, we want to see you use elements of the Antioch School training as launch points for a range of needed development. And, while we want students to gain cultural currency, we hope they look beyond degree completion alone and pursue what they need to be effective in ministry. With this in mind, let me describe ways to leverage our resources for larger gains than just meeting minimum requirements. Pull out the SIMA Motivated Abilities Pattern often (not just for the annual reflection), and use it to help students understand both fruitfulness and frustration within their ministry responsibilities. In the future your students will have better judgment in the use of their gifts. Use the Personal Development Plan to build lifelong habits of assessment, prayerful planning, and adjustment in your students. Such habits will be critical for these emerging leaders as their ministry responsibility and the demands that go with it expand. Students can show core competency without doing every project in a Leadership Series course. However, all the projects are valuable. Some of them call for reflection and introspection. Use those projects to help students grasp the importance of the concepts that they are learning and to internalize those principles at a conviction level. Use the Ministry Practicums to teach students when they are most teachable – in the midst of the realities of ministry. Add to their learning objectives mid-stream if you see that it would be strategic for shaping the student. Help your students to see that doing the range of projects within the courses will lead to an extremely useful body of work. In the future, portions of their work may be developed into resources used to instruct others. In addition, doing the work will help them develop the clarity and critical understanding they will need to shepherd others around Christ’s teaching. With the Teaching Practicums, challenge the students to master the New Testament concepts so completely that they can readily, in a variety of contexts, entrust those principles to others. Use the Ministry Strategy Plans to either create or adjust actual ministry plans for your church. Help your students to develop the skill of putting biblical principles into action. This post has emphasized our experience that when leaders focus on comprehensively equipping their students, those students end up with ample material which show competency. I want to end, though, where we started. The initial question is an honest one. Let me give you four resources that will help students to assemble a portfolio that demonstrates competency and will be granted academic credit from the Antioch School. Students should use our Student Competency Assessment Guide to self-assess their own work before posting to their portfolio. This guide contains the rubric we use for evaluating every competency set within an Antioch School degree program. Students should use the additional manuals on this same webpage to create effective practicums, personal development plans, and SIMA reflections. If you are a leader directing a program, register for our e-Workshop entitled Assessment of Leadership Series Courses. This will help you understand the range of evidence your students can post to demonstrate they have achieved the course competencies. This workshop will be held on Thursday, April 11, 2013, but you can register now at the Antioch School Web Conferencing Center. Contact us directly with remaining questions. We ultimately want to help you and your students to be successful. We welcome the opportunity to assist you as you equip a new generation of leaders for Christ’s church. Were you not able to attend the BILD annual conference this year? Here are some highlights of what you missed! The Newbies: We do most of our Antioch School Initial Certification Training online using Webex, but the conference is one of the few times when we offer the training live. We had an excellent group of church leaders that extended from rural eastern Iowa to urban eastern Africa (Kenya)! Some were focused on using BILD resources for their own modest-sized churches, while others were preparing for large-scale implementation for an entire country (Sierra Leone). It is always exciting to discover the ambitions of those who attend the initial training. For instance, some are eager to bring the BILD resources and Antioch School programs to their church networks in North America and around the world. You will be hearing more about some of these folks in months and years to come as we hope to tell their stories in this blog. The Oldies: Dozens of church leaders participated in the Ongoing Training in order to maintain their Antioch School certification. Mostly, this meant that they took part in workshops to help them be better equipped to teach the BILD Leadership Series courses. Nine different two-day course workshops were offered during the conference. In some cases, church leaders took workshops for courses they had already taught. It was not unusual to hear them remark, “So, that is how I was supposed to teach the course.” At one level, the BILD courses teach themselves, but at another level, it is helpful to have the input of those with vast experience teaching BILD courses. The Goodies: (Feedback and Networking Opportunities– Positive and Negative) During lunch on Tuesday and Thursday, many Antioch School Certified Leaders met for a partner forum (think “Antioch School users group”). They shared things that they really appreciate about BILD and the Antioch School, including some that came somewhat by surprise. For instance, several reported about the mindset changes that have happened in their churches as they have adopted a broader view of ministry and what it means for leaders to be trained. Others gave testimony about the impact of various BILD resources, such as the SIMA MAP, the Personal Development Plan, and the First Principles especially for people in their churches beyond those enrolled in the Antioch School. A group of pastors in rural Iowa and a group in New England expressed interest in forming regional/affinity groups so that others will not feel all alone, but will have an ongoing community in which to address issues. We will be announcing more about these in the near future. The Not-So-Goodies: The “Antioch School users group” also uncovered some challenges being faced by those using BILD resources and Antioch School degree programs. Some are struggling with implementation because they don’t have complete buy-in from their leadership team. Others are having difficulty getting students to post work in e-Portfolios and/or being confident in doing portfolio assessment. There were several expressions of interest in having more samples of the Antioch School’s non-traditional components, such as the Ministry Practicum Report and SIMA MAP Responses. We hope to provide additional support in these areas in months to come because we are committed to serving our partners and trying to improve our service. The Biggies: The plenary sessions at the BILD conference are not just big in number of people attending. They are huge in terms of the ideas presented. This year, Jeff Reed challenged us from the perspective of “shadow cities” (urban slums) as being strategic in the spontaneous expansion of the church. It included four big ideas: 1) Global Cities are the new Roman Road, 2) Shadow Cities present enormous opportunities and challenges, 3) Bottom-of-the-Pyramid investment (with the poorest billion people) provides a mutual benefit, and 4) Church benefactors are key because “the money is in the pews” of evangelical churches. Randy Kennedy, Asia Strategy Director of the Maclellan Foundation, also presented “Asia Review: Growth of the Church and Presenting Opportunities.” In coming weeks, we will feature highlights and video links to these various presentations. The Cronies: Often, we hear that someone’s highlight of the BILD conference was the opportunity to meet and hang out with the indigenous apostolic leader of a massive movement of God somewhere in the world. BILD’s partners represent some of the most exciting things that God is doing, particularly in strategic places like India. In just a matter of a few days, deep friendships are formed and ministry partnerships are initiated. This year, the BILD conference was focused on leaders of church planting movements and church networks that are more advanced in their use of the BILD resources. We heard numerous testimonies of how much participants enjoyed the opportunity to be with these seasoned BILD partners. So, why do we tell you all of this? On one hand, we want to give a report. On the other hand, we want you to start making plans now to participate next year so that you will be able to give your own report. Mark your calendar now for November 4-9, 2013. Join us for the 2012 BILD Conference! Obtain further training in the use of BILD resources for doing C-BTE. Hang out with a cross-section of other church leaders using BILD resources and leading Antioch School programs. 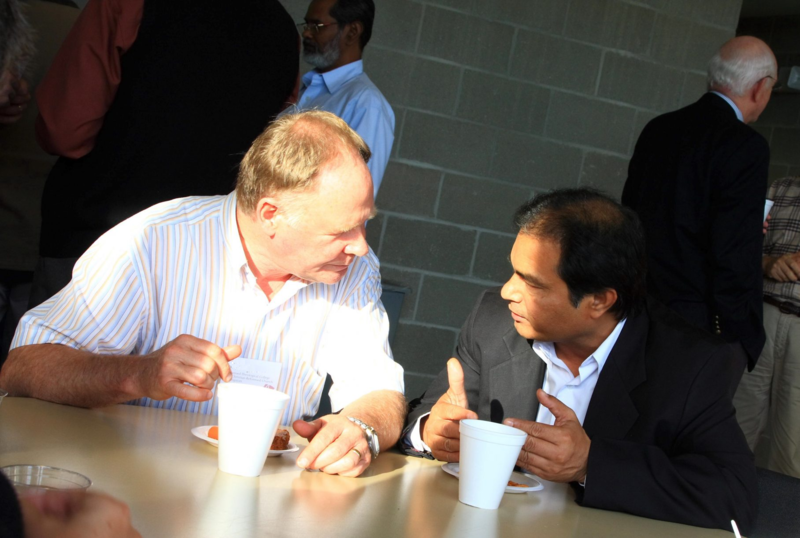 Rub shoulders with leaders of some of the world’s largest church planting movements. Link up in partnership with indigenous apostolic leaders in a whole new paradigm of missions. Get personal time with BILD staff and Antioch School senior faculty. Experience the hospitality of the Ames-Des Moines CityChurch family. Be challenged by God-sized ideas, such as the strategic role of “shadow/slum cities” in the spontaneous expansion of the Gospel. During the preceding week, key leaders of BILD’s global partners gather for strategic planning and coordination of their C-BTE programs. On November 5-8, you may join these global leaders in further training on the use of BILD resources. The conference climaxes on November 8-10 with the BILD Executive Leadership Summit. The BILD Conference climaxes on November 8-10 with the Executive Leadership Summit (ELS)**. This is an incredible opportunity to see what God is doing in the world. You can glimpse inside some of the largest, most innovative church planting movements. 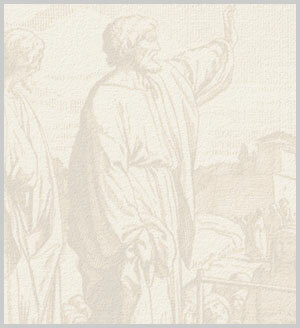 The ELS is a unique blend of ministry reports, foundational biblical teaching, and world-changing ideas. It begins with Jeff Reed introducing us to the concept of “Shadow Cities” and how the spontaneous expansion of the Gospel is taking off in some of the world’s worst slums. The ELS will focus on particular ministries as lenses through which to see some of the new and significant things God is doing in North America and the rest of the world. It concludes with a Friday night banquet of celebration and a Saturday morning prayer breakfast. The BILD Conference gives you a wonderful opportunity to link up in partnership with indigenous apostolic leaders in a whole new paradigm in missions. You understand the effectiveness of in-service, church-based theological education. Well, it is exponentially more significant in parts of the world where there is no established church, weak economies, and yet the gospel is moving rapidly. The BILD Conference represents an entirely different approach to missions as well as theological education. 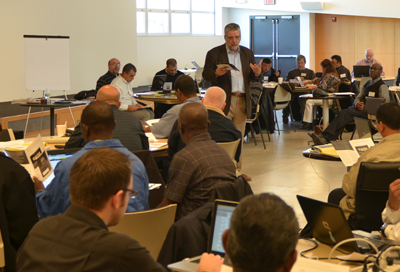 For many of BILD’s North American partners, it is a new and refreshing idea to be able to partner with tested sodal leaders of church planting movements. During the BILD Conference, you can get a much better sense of what is happening and consider how you can become even more involved in the global expansion of the Gospel. For those who wish to become Antioch School Certified Leaders, a week-long Initial Certification Training is offered November 5-9. Read our Travel and Housing Information for the 2012 BILD Conference. Note that lunch and snacks are provided.